Well there’s always a first time for everything right! Hahaha! This engagement session came with a lot of firsts for me but luckily I was blessed with amazingly patient and flexible clients like Stephanie and Craig, who made it one of the most memorable engagement sessions to date! This session started out perfectly planned to a T! Stephanie was completely on top of the schedule from day one, when we met, and that is something I LOVE! – A good plan! hahaha. We hit it off immediately at her consolation. I was one of her first vendors booked for her 2017 wedding so it’s been really fun to walk with her through the planning process. 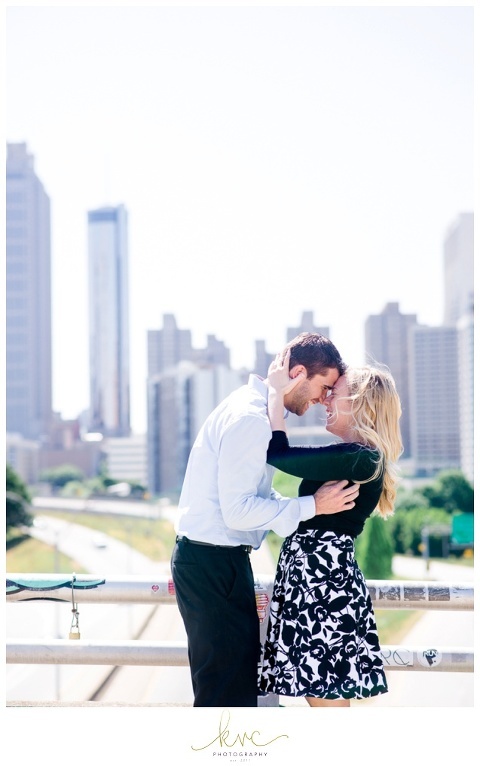 We talked details and she gushed about her adorable fiancé, Craig! I was really excited to meet him at the session because, like Stephanie, he’s a planner too. 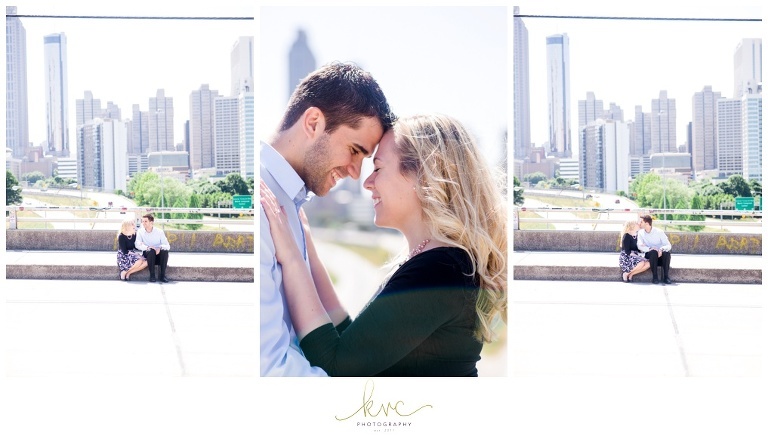 Our thoughts were to recreate their first date in the city and then go to a few more locations that really showed off Atlanta at it’s finest! Well when we made it to their engagement session day, booking the restaurant where they had their first date as a lot more involved then any of us anticipated. I almost wish we had asked for forgiveness rather then permission, but needless to say, it was a bust. So plan B! we flip the scrip and focus on the other 2 spots. We couldn’t have picked a prettier day for these photos and Stephanie and Craig were so well dressed, that it didn’t even matter where we shot! They were so fun and so in love that the pictures really spoke for themselves. After the 2nd location, we were on a cloud 9, and I was caught up in such a good time that I suggested an impromptu 3rd location that I loved and that was near by! The light was just too perfect to stop! hahaha! Well we headed back to the car and what did I see…. A BOOT ON MY CAR! I have never been booted. I couldn’t believe my eyes, and we weren’t even gone that long. But Craig and Stephanie were unbelievably gracious and didn’t laugh at me and I didn’t cry in embarrassment, and even though the “boot guy” (idk what to call him) was rude as all get out, I just had to smile and thank God that of all the things that could have happened to my car in Atlanta, at least it was just a boot. Still no fun though, lol, but maybe one day we can look back a laugh. Lesson Learned. All this to say, that after this vulnerable experience with these two, their wedding will be even more special to me! I feel like we survived something hahaha! It just makes me love what I do even more cause I get friends like these! :) #itsalltots! haha! © 2016 KVC Photography | Developed by brand sweet co.|ProPhoto Photographer Template|Designed by Seaside Creative.